Canyons Village is part of the Park City Mountain Resort, the largest ski resort in the country. 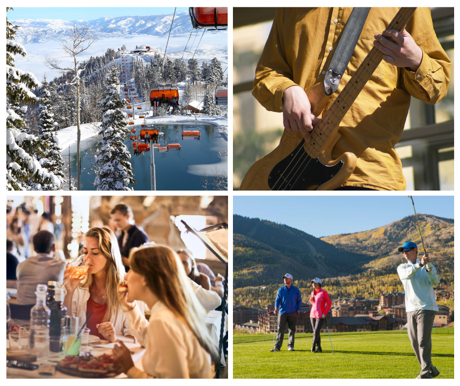 With an assortment of four-season activities, there is a little something for everyone: golfing, live music, dining, hiking, biking, skiing, and snowboarding. Conveniently located just 35 minutes from the Salt Lake City airport, you will be enjoying your vacation in no time with a property at the Canyons Village. In the village you will find a wide variety of homes, condominiums, vacant land, and even fractional interest ownership opportunities. South of Canyons Village is The Colony, a gated community with luxurious single family homes situated on large lots, ranging from four to 10+ acres in size. Most of these homes offer direct ski or snowboard access to the slopes at the resort. If “brand-new” is your style, this popular area of Park City has 12 new-construction projects (as of March 2019). Buyers can choose from studio condominiums up to a 5-bedroom townhouse or residence, with prices ranging from the high $200,000s to just under $4 million. To help you learn about these projects, as well as the many new-construction projects in the greater Park City area, we have prepared a New Construction Guide. Contact us at Info@TheWilsteinTeam.com or 435-487-0151 to request this report and ask your team of Park City and Deer Valley real estate experts at The Wilstein Team all your questions about buying or selling an area property.